Sports - The Fan's Take: Detroit Lions - Why am I so Lucky! Detroit Lions - Why am I so Lucky! Reading articles and hearing all of the rumors that Calvin Johnson may walk away from his contract at the age of 30 saddens me as a Detroit Lions fan. The reasoning behind my state is not what you may think. It is not because Calvin has so many more years ahead of him or the years that he is missing with Stafford. 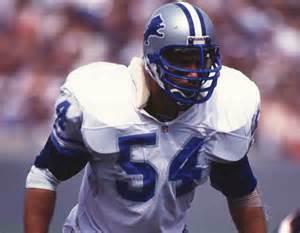 What saddens me is the Detroit Lions will have yet another superstar (potential Hall of Famer) within their franchise and nothing to show for it. When I or any Detroit Lions fan tell a fellow football fan that we are a Detroit Lions fan, more times then not the first response is, "I am Sorry" or the national media say "Purless Lions" or "Roarless Lions". Which at first glance they are correct, because the Lions have never won a Super Bowl nor have played in one. With that being said there is no question the franchise has as many superstars and Hall of Famers then any other franchise. Just compiling some of the greats you come across Barry Sanders, Billy Simms, Calvin Johnson, Charlie Sanders, Bennie Blades, Chris Spielman, Mel Farr, Doug English, Harley Sewell, Ed Flanagan and these are just a start. So back to the question why am I saddened, because the Detroit Lions management and ownership has not clue on how to put a finish product on the field. 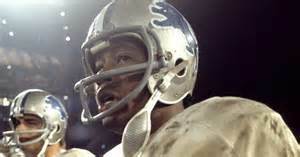 There are so many great players, Hall of Fame players, that worn the Lion on the helmet and all of these great players deserve so much more then what they received from management. Ownership never did that big trade or that off the board signing that wasn't the most glamours just to fill a need. They are able to put main ingredients in to the pot, but they are unable to put the seasoning to make it perfect. Is it that they didn't know how? Was there to many cooks in the kitchen and not a head chef? These question will never be answered and it saddens me that a truly great franchise with a great history of great players can not get out of their own way. I remember speaking to my mother, which she is now passed, every season I think this maybe the year for the Lions. Her response, " I am (this old) and I have never seen them win a Super Bowl, what makes you so lucky". Well mom your words are so true what makes me so lucky.